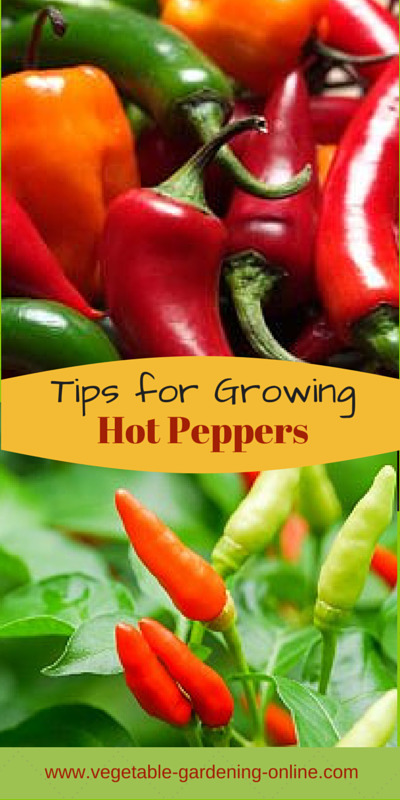 Growing hot peppers in home vegetable gardens is quite simple to do. Learn how easy it is to plant, care for, harvest, and store hot peppers and chili peppers for home use! 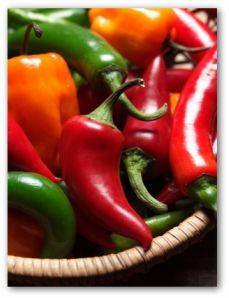 We have gathered some special hints for planting peppers for vegetable gardeners who like the heat! The weather rarely cooperates exactly as we wish it would. Whether the ground is extremely dry all summer in your region or saturated daily as the South was this past fall, gardeners struggle to grow heat-seeking crops like hot peppers. While there is nothing we can do to change the conditions of the area, you can create more favorable micro-climates within your vegetable garden to face the challenges head on. Spice Up Your Life...With Hot Peppers! 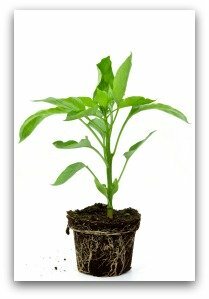 When you are looking for the fastest way to get your heat loving crops off the ground, the best way for peppers is by transplanting. Plant transplants in shallow trenches in raised beds and protect the young plants until they are well established. This method works for all kinds of hot peppers including growing cayenne, jalapeno, and chili peppers. The ideal soil temperature for peppers in the spring is 70 to 80 degrees F. The perfect daytime air temperature is 65-80 degrees F.
In cold-climate areas, cold frames and row covers are standard weapons in the battle against late spring and early fall frosts. You may get a jump start on your neighbors by several weeks by warming your garden beds with clear plastic sheets. About six weeks before planting, cover the garden with plastic sheeting. Clear plastic raises the surface temperature as much as 15 degrees, where black sheets will only raise it by 5 degrees or so. The lay of your land can affect how and when the garden bed soil warms. 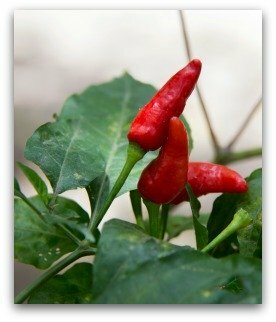 Hot Peppers Add Spice to Your Garden! 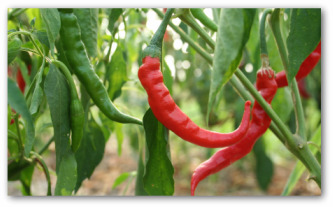 One of the most effective vegetable gardening techniques for fighting cold soils is shaping the garden surface before growing hot peppers such as cayenne and jalapenos. The technique is similar to making raised beds except you shape the bed in a wavy pattern like waves in the ocean. Make the garden beds 3 to 4 feet wide and slope them to the south. Plant warm weather crops on the south face of the waves just below the ridge. The soil drains well there as it does in a raised bed. The southern exposure warms the soil and the cold air running down the slope is directed by the soil configuration to fall into the valley beyond the wave. For cold climate gardeners, get intensive pepper plant growth as fast as possible during the early part of the summer when the days are longest. 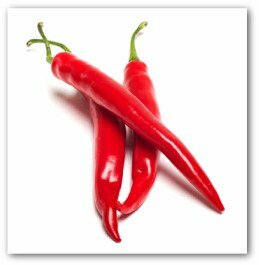 To promote vigorous plant growth, water frequently and use liquid fertilizers such as manure tea and fish emulsion liberally when growing jalepeno peppers and other hot pepper varieties. Covering seeds beds and seedlings with floating row covers or plastic jugs is a necessity for keeping the chilly spring and fall air at bay. Protect growing hot peppers easily and economically with 1 gallon emptied plastic milk containers. Cut the bottom out of the jug and set over the seedlings to form a mini-greenhouse. During warmer weather, remove the cap for ventilation throughout the day. A plastic tunnel can turn an entire garden bed or several rows into a temporary greenhouse. Made from plastic film and plastic supports, it can extend the growing season by two months at the beginning and the end of the season! To end on a happy note to all your hard work, hot peppers will bear fruit all summer long!